GitHub Enterprise is the on-premises version of GitHub.com, built for collaboration and deployed to your own Alibaba Cloud environment. GitHub Enterprise is the on-premises version of GitHub.com, which can be deployed on your own servers, in a private cloud, a VM, or in this case on your Alibaba Cloud instance. Developers at businesses of any size can use GitHub Enterprise to securely work together across teams or around the world (10 seats minimum). 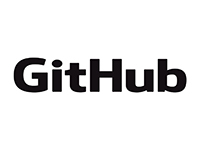 GitHub Enterprise builds on GitHub with features designed specifically for businesses that help your team stay compliant, fine tune permissions, integrate tools they love, and build better software with industry-standard technologies. Publisher implements their own mechanisms for securing the licensing of their product. Customers must contact the publisher directly to purchase a license to use the software. Try GitHub Enterprise for 90 days. Offer expires 3/31/18. I acknowledge that I am getting this software from GitHub and that the legal terms of GitHub apply to it. Also see the privacy statement from GitHub.